Did you know you have the power to make history? A year may sound like only a short time to effect change, but your dreams can quickly become reality, with only a little preparation. What are your goals for the next 52 weeks? Whether you wish to excel in school, finish creative projects, or invite more mindfulness into your life, this planner is the perfect guide to help you appreciate how far you’ve come and thoughtfully plan for the future. Understanding the past can give you clarity about what the future may hold. For hundreds of years, women have been making huge strides towards equality, and each fearless female in the pages within has left their mark on history, impacting all who came after them. It is because of these spirited crusaders that you can be bold and dream big! Learn more about history’s most influential women while you plan your goals and dreams for the year ahead. With inspiring editorial, creative activities, bonus stickers, and prompts for list-making, this 200 page planner, offers 13 four-weekly blocks with plenty of space for thoughtful reflection. 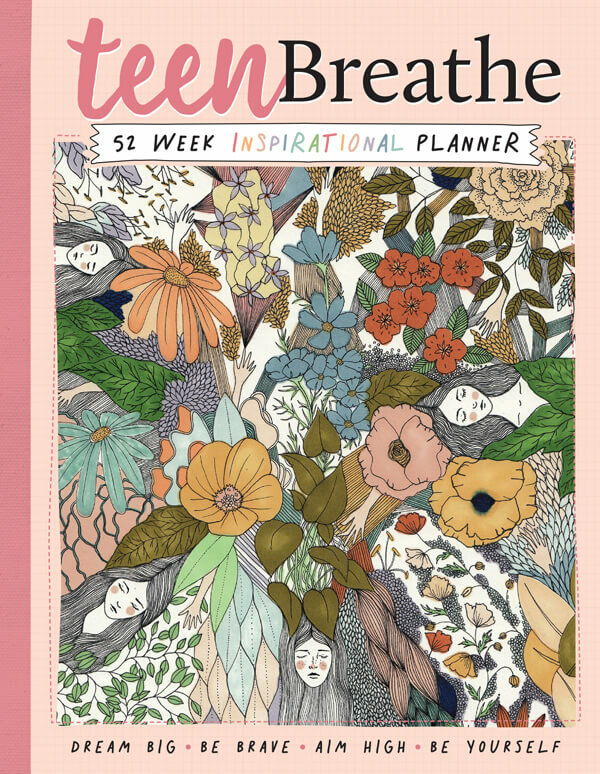 The Teen Breathe Inspirational Planner is the perfect gift in time for the holidays and year ahead. 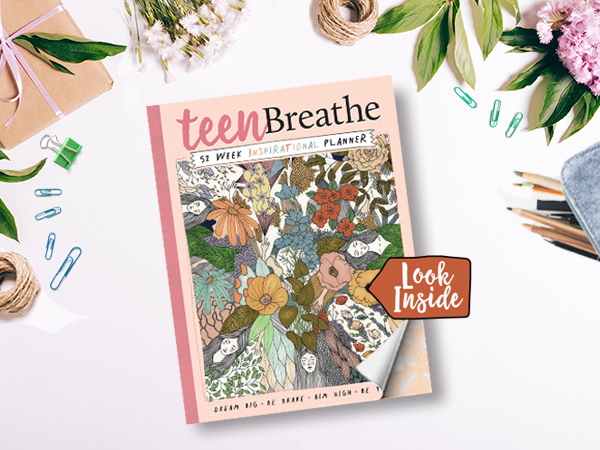 Here at Teen Breathe, we hope these remarkable women – as well as others you can ruminate on in your own time – inspire you to be happy, be brave, be kind, and be courageously yourself on the path that you choose.